I’ve loved music all my life, so when I was approached to write about music for the Reformed Outfitters, I was happy to oblige. I grew up listening to music at home – from classical music, to the marches of John Philip Sousa, to Buddy Holly and the Beach Boys, and finally to some of the giants of country music – Johnny Cash, Jimmy Rodgers, and Hank Snow are some of the names I remember from my dad’s record collection. My taste in music has broadened over the years; while I’ve largely abandoned the world of popular music (which more than occasionally offends my Christian sensibilities, but almost always bores me), over the years I’ve found myself exploring the vast musical treasures that can be found in the worlds of jazz, classical, blues, world music, and elsewhere. But when it comes to popular Christian music, Black gospel music from the 1950s and 60s used to be about as contemporary as I would get. Up until very recently, I’ve found myself repeatedly disappointed, and to be frank, disturbed, by the quality of the music that you’ll hear on Christian contemporary radio. Whereas from the 1930s to about the 1960s it was the music of the church that had a profound influence on the secular music industry, in the 1970s the trend was reversed. The music of the church once exerted a profound influence on the world. But in the past three decades, Christian music has done little more than imitate trends in popular music, rather than shaping them. The content of a lot of Christian contemporary music is highly individualistic and largely divorced from the greater context of Scripture, and this poses a major problem when it comes to singing about the Lord Jesus. On a corporate level, as the body, the Church, we know and confess that the Lord Jesus has taken the Church to be His bride. The Church is the beloved of the Lord, and as a body, we live in this relationship of love with Him. He is the ultimate Husband, who gives His life for His Bride (Ephesians 5:25). The problem comes about when the corporate aspects of this relationship are forgotten, when the message becomes all about me, and my relationship with Jesus. What happens when Christian musicians do this? They go from praising the Lord Jesus, the Husband of His church, to singing a sanctified love song to Jesus, the greatest boyfriend you could ever imagine. Make it special in some way. I love you more than the words in my brain can express. I can’t imagine even loving you less. There are a couple of problems with songs like this one, but the most serious one is this: apart from the word “Lord” in the final line of the chorus, the lyrics to this song are virtually indistinguishable from any other love song ever recorded. The song has little in the way of actual content; it’s solely about a feeling of being loved – but there’s so much missing! What’s the basis of this love? What’s the content of this love? What’s the context of this love? What kind of love is this anyway? As I mentioned earlier, until recently I have pretty much ignored Christian contemporary music. Musically I find much of it boring, lacking in originality, pre-packaged, mass-marketed, appealing to the lowest common denominator. Lyrically, even where there isn’t overt false teaching, the messages are often shallow, effeminate, and cringe-inducing, to say the least. 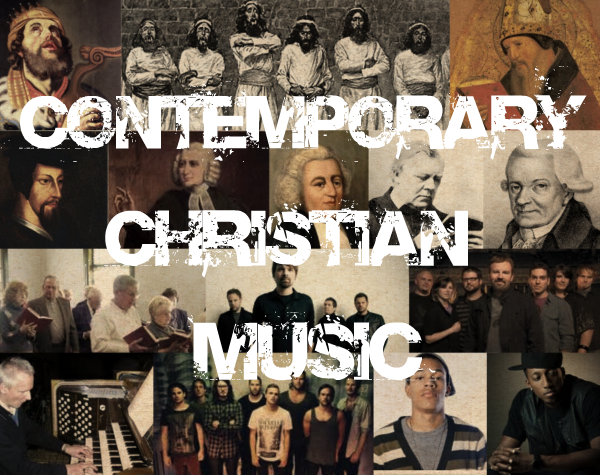 But over the past year, a couple of young men in my congregation have introduced me to another type of contemporary Christian music; I hadn’t realized that this genre of music even existed, but when it was introduced to me, I found myself devouring it. And that music came from a surprising source – the American hip-hop culture. (“All-Consuming Fire,” by Shai Linne). That’s just one example, but it’s indicative of Shai Linne’s lyrical output. It’s God-centred. It’s honest. It doesn’t shy away from the “hard truths” that the Christian message is filled with. It’s unashamedly theological, it’s got real depth to it, and it speaks prophetically to a world that needs to hear this message. Simply put, I would not hesitate to recommend any on of Shai Linne’s albums to Reformed, Christian people, young or old. Musically speaking, the style may not be your cup of tea; but there’s no denying the quality of the production, the originality of the musical accompaniment, and the centrality of God’s glory to the message of the lyrics. This is music that glorifies God and edifies His people. Previous Dude, Where’s Your Bride?